Yes, it’s paleo. I was super excited and intrigued! This came out so moist and delicious; I just had to share! mix together the wet and dry ingredients using a spoon to form a batter. Be careful not to over mix or the batter will become oily and dense. spoon remaining batter on top and bake at 350°F until a toothpick inserted into the center comes out clean, approximately 45 minutes. * To measure 1½ cups of bananas, chop the banana into small pieces and fill the measuring cup. Apple bananas enhances the flavor of this bread, so make sure to use it if you can find it for sale at your local stores. This is Adriana Harlan from Living Healthy With Chocolate, http://livinghealthywithchocolate.com. I’m sorry for emailing you here, but I could not find a contact email on your site. I am truly honored you like my recipe and want to share it on your website. You are welcome to share my recipes, but I need to ask you that you do not copy the entire recipe and repost it on your website. 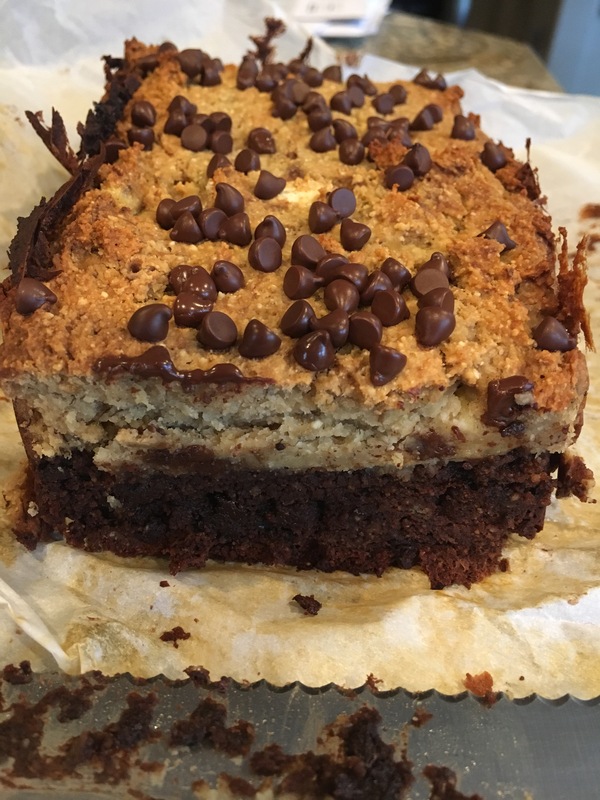 It is perfectly fine if you share the recipe title and photo, and then link back to the recipe on my website where people can read more about it. Thanks for your understanding and please let me know when your post is edited. Hi Adriana. I linked to your site twice before you get to the actual recipe. My blog is for me to capture things I have come across and appreciate. I do not use a blog for any financial gain. It is simply a way for me to log and blog my experiences. Your recipe and links were already credited in the original post. I totally understand Kris. Thanks for replying. One of the main problems with doing this is that the search engines recognize the duplicate content and lowers the search ability and SEO for both our sites, even if this is your personal blog.